Originally built in 1928, the Park View reopened in March 2002 after a thorough restoration. Located in a historical surrounding which includes the newly renovated Museum of Fine Arts, the former Presidential Palace, and the well-known Prado Promenade, the Park View Hotel was one of the first hotels built with American capital. 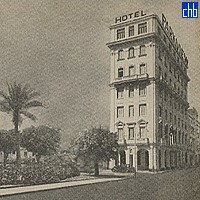 It was one of the most luxurious hotels in Havana in the early part of the 20th century. 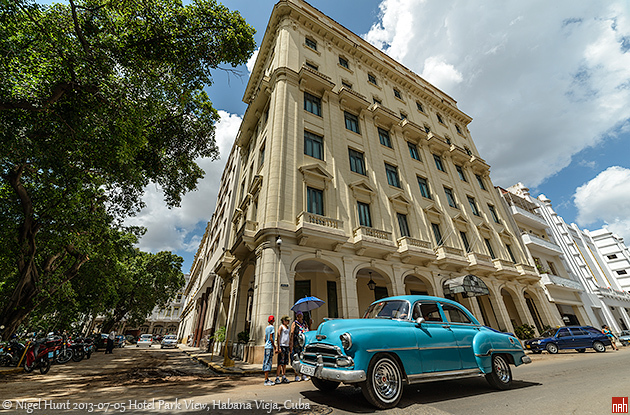 Located in the privileged position where Old and Modern Havana meet, the hotel offers 55 air-conditioned rooms with private bathroom, satellite TV, local and international telephone, safety deposit box and mini bar. 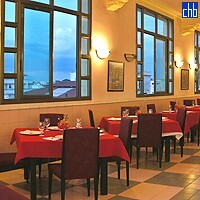 Its perfect location and decoration make this hotel the perfect place for enjoyment and rest. The 55 rooms at the Hotel Park View are smallish but light, clean and pleasant. Some of them have views over the rooftops of Centro Habana to the sea. Bathrooms are fairly Spartan, tending to feature showers rather than baths, but are clean and perfectly functional. The cots supplied for visiting infants are of very good quality, unlike the ancient collapsing disasters which with harassed parents have to do battle in some Cuban hotels. Hair-dryes are available on request. 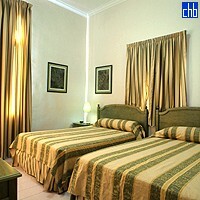 Only 15 of the rooms have matrimonial beds. The other 40 rooms are twin bedded.